Today’s post is from our guest, Vigilance Chari. You can learn more about Vigilance in her author profile below the article. Our customers have often complained about high rates of shopping cart abandonment. For example, shoppers start picking up items and placing them into their shopping carts but never get to check out. There are studies showing that the average shopping cart abandonment rate is 81% worldwide – a worrying statistic for any digital marketer. Mobile is said to be the biggest culprit with only about 8.5% completion rate though the conversion of mobile might not matter. On desktops and PCs in general, completion rates stand at just over 13%. It has also been found that a majority of abandonments happen on the checkout page or the page where the consumer is required to enter their credit card information. 90% of carts are abandoned at this stage. According to the Visual Website Optimizer, shopping cart abandonment increases by 7% whenever there is a one second delay in page loading. Checkout pages that are slow to load practically beg consumers to try a different store. So, work on you load speeds. 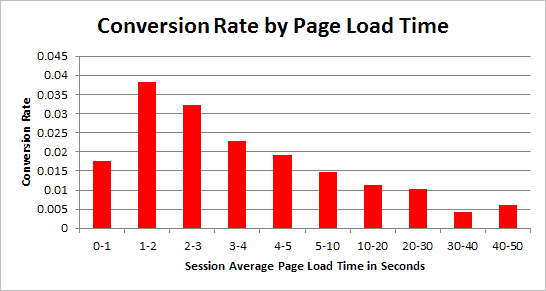 Some quick tips for improving page load times include working on your images. Large images can slow loading. On mobile, particularly, large images can ruin page load times. 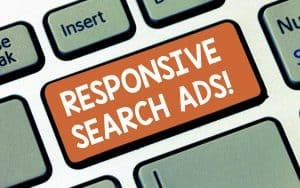 Additionally, limit the use of ad network trackers, poorly executed code, social plugins, and bloat. Loading bars that show customers progress can convince the customers to stay a little longer as you process the payment. 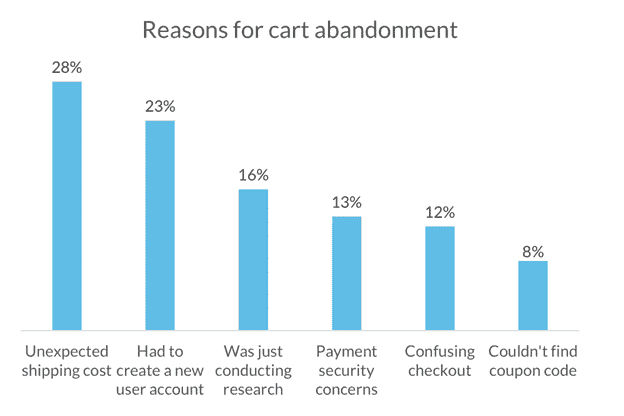 Shopping online, while fun, is known for hidden charges that have been a major cause for cart abandonment. Take an example of a shopper who wants to buy a Chromebook. On the product page, the product is priced at $920.99. So, to the buyer, that’s all they have to pay. but, on reaching the checkout page, they find that the price is now $940.99! Most people will abandon the shopping cart and try a different seller. A great idea is to include shipping and all the other costs in the marked price so that shoppers aren’t surprised by additional charges at checkout. 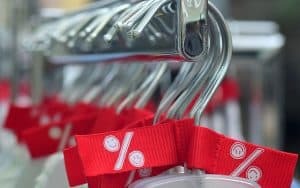 In eCommerce retail, success hinges on being able to preemptively reassure customers to overcome potential objections. 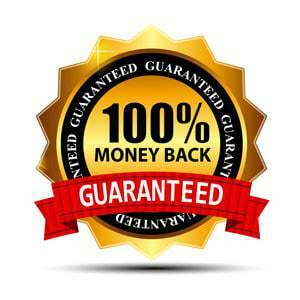 One way of doing this is by providing a money back guarantee. Consumers can’t see the product they’re paying for online until the item reaches their homes and offices. When buying, they have to trust the images and videos of the product you’ve put out there. But, you’re asking them to part with their money in return for these items they have yet to see. It makes consumers a little hesitant to check out. Take away these fears by reassuring them that they will get their money back if something goes wrong. A staggering 14% of digital consumers say that they are instantly put off by eCommerce stores that require them to log in before they can checkout. 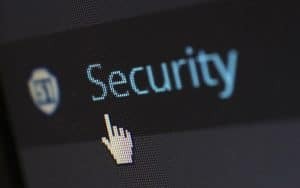 One of the reasons given by these concerned shoppers is that they see no difference between creating an account on an eCommerce platform and giving away their personal information. What if the platform lost the information? Instead, they want to be allowed to check out without logging in. So, give up the data you may have wanted to collect and make guest checkouts possible. You’ll see a bump in order completion rates. 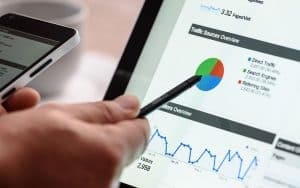 In the mobile age, you’ll be doing a huge disservice to your business if you don’t optimize your checkout pages for mobile devices. An increasing number of consumers check out on smartphones. They should get the same awesome website experience available to shoppers on a computer. Makes sure your trust signals (McAfee Secure, Geo Trust, etc) are visible on the mobile checkout page. Make sure images are clear and load quickly. And, make navigation between the shopping cart and store effortless. 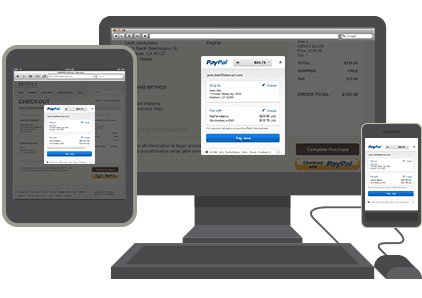 These tips can help minimize shopping cart abandonment on mobile. If you’re a digital retailer, you definitely want to minimize shopping cart abandonment and also improve consumer’s shopping experience. By following these points above, you will be able to reduce abandonment and complete more sales. Most of these tips are easy to do and with just a little work can help you drastically increase your online sales. Vigilance Chari is a freelance writer covering tech news and gadgets at LaptopNinja. She is an International presenter and published author. When not writing, she spends her time as an enthusiastic professional party planner and part-time painter.